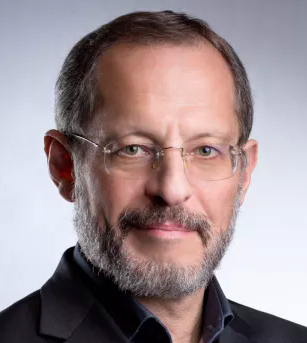 Professor Eugene Kandel is the Emil Spyer Professor of Economics and Finance at the Hebrew University of Jerusalem (HU) and the CEO of the Start-Up Nation Central, a nonprofit strengthening Israel’s innovation ecosystem and connecting to governments and organizations solving global problems. He holds a B.A. and an M.A. in Economics from HU and an MBA and a Ph.D. in Economics from the Graduate School of Business at the University of Chicago. His primary expertise is financial markets and financial intermediaries. Professor Kandel’s research is published in the leading financial and economics journals and he’s served as editor and associate editor for several finance journals. He is a member of HU’s Center for the Study of Rationality, a Research Fellow of the Center for Economic Policy and Research in London, and a Fellow of the European Corporate Governance Institute. Professor Kandel has consulted government agencies, companies, financial institutions, and non-for-profits; served as a judge on the Israeli Antitrust Court, and as a Chairman of the Investment Committee of pension and provident funds in Israel. Between 2009 and 2015, he served as Head of the National Economic Council and Economic Adviser to the Israeli Prime Minister.